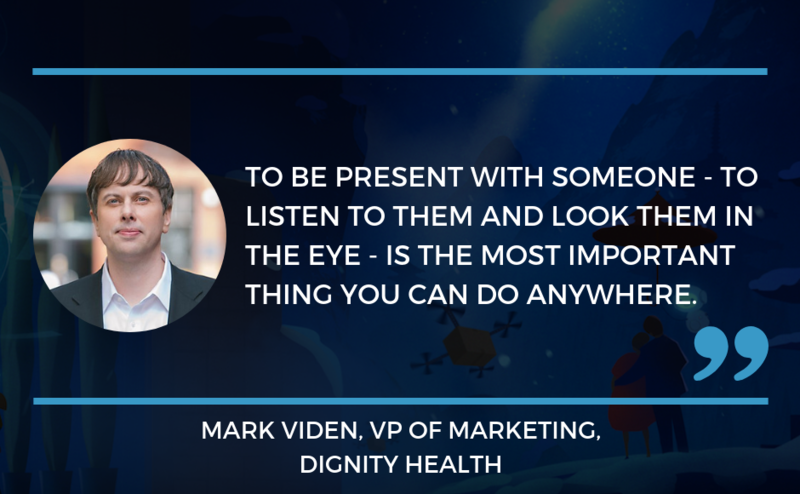 In this episode of Marketing Trends, Ian and Chad talk with Mark Viden, VP of Marketing for Dignity Health. Dignity Health is a large healthcare company based in California that does more than $10 billion in revenue and employs more than 60,000 people. Mark shares the early impact of reading David Ogilvy, how he deals with rejection, and sheds light on his 17-year career at Dignity Health. 1:45 - When Mark first got excited about marketing and advertising. 3:20 - Mark’s marketing inspirations. 5:10 - Advice for up-and-coming marketers. 7:00 - Executing on the Hello Humankindness campaign. 17:40 - How to use marketing to improve someone’s life. 20:45 - Mark’s favorite marketing tool. 22:00 - The most important marketing trends that Mark sees coming. 26:50 - Why you should always start with strategy.